Hi loves, I hope you had a great Christmas! Sorry I’ve been so MIA lately, I went to Dubai for 10 days to spend some quality time with my sister. She lives there and it was so nice having the chance to explore the city with her! I’ll be sharing a fun travel guide right here soon! 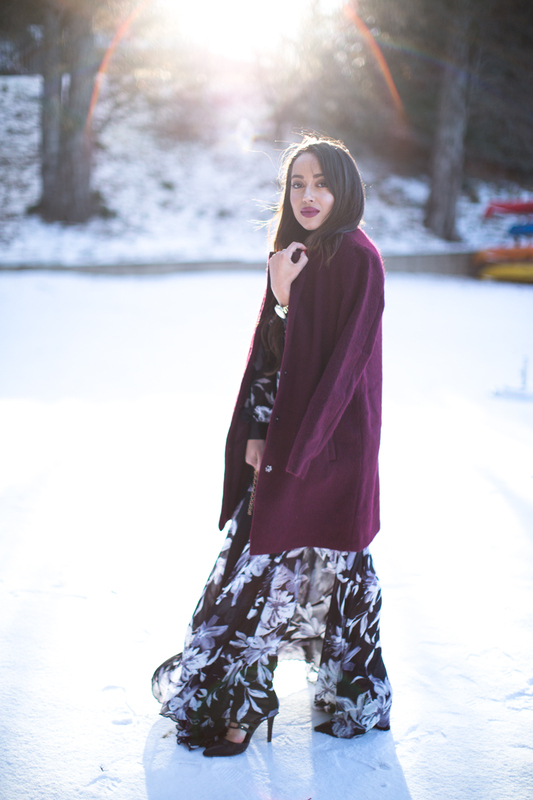 But for now, I’m sharing this gorgeous floral maxi from Lulu’s that I shot in Lake Arrowhead. Lulu’s has so many gorgeous party dresses for every occasion. New year’s eve is just around the corner so if you’re looking for something to wear I would definitely check our their selection! I will right away take hold of your rss feed as I can't in finding your e-mail subscription link or newsletter service. Thank you, Rizwan. Come back and visit again soon! posts. In any case I'll be subscribing on your rss feed and I hope you write once more very soon! You know oufits are good when you're busy beavering away at something and images of them float through the mind and distract you…You fit in that bracket ???? Read my lifestyle advice column (link) to become an even better (and maybe even quirkier) person 😉 Happy new year 2016! I just like the valuable info you provide in ypur articles. I will bookmark your blig and check once more herre regularly. you are but definitely you're going to a famous blogger if you aren't already 😉 Cheers! Thanks for finally talking about >"#EKeeneTravels: Cold As Ice" <Liked it! Thanks , I've just been looking for information about this subject for ages and yours is the best I've discovered till now.